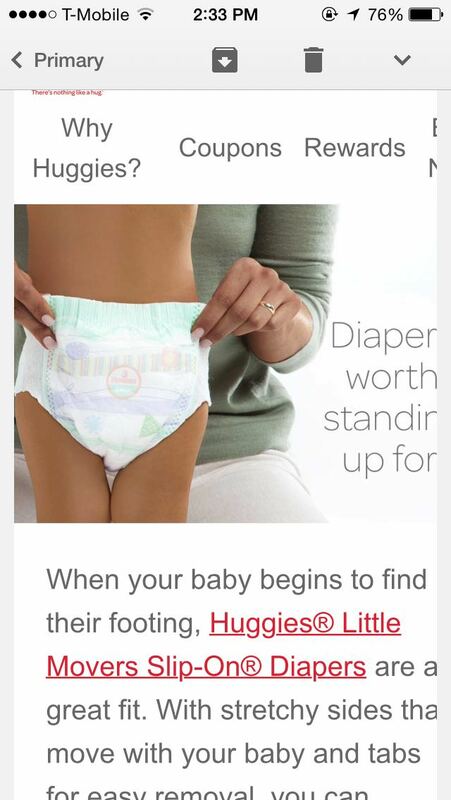 Did Huggies Photoshop an artificial thigh gap onto one of its baby models? People definitely seem to think so. Magazines and catalogues Photoshopping their models to look unrealistically perfect is not a new thing. It has been happening for years, and until recently, it's mainly gone unnoticed and untalked about. Using a computer to fix someone's natural and totally OK flaws is awful; doing this to a photo of a child who can't walk, talk or eat solid foods on his or her own is another level of evil. I mean, not that anyone would ever stoop that low. Is it just me or did this huggies ad [Photoshop] thigh gap on a toddler? Listen, I'm not going to lie and say this baby DOESN'T look sexier than other babies, but Photoshopping thigh gaps onto children who have literally no thigh muscles seems unfair. Some Redditors agree something is off with the picture. Others say the photo is actually untouched, claiming the concept of a baby thigh gap is an actual thing. Through a press statement, Huggies denied claims the child was Photoshopped for the ad. All babies are different -- we look to celebrate those differences and everyday tests and messes in our photography and communication. Hopefully, Huggies is being honest, and hopefully, baby Photoshopping doesn't become a thing -- unless it's Kanye's face copied and pasted onto North West's body.